Special Report | Lords Vote: Will peers vote to protect the NHS, or their pockets? As the House of Lords prepares to vote on crucial legislation that could change the face of the NHS forever, campaigners are urging Peers to oppose the government's privatisation drive. The only problem: over 140 Lords have recent or present financial links to the private healthcare industry. Andrew Robertson reports for Ceasefire. When the Lords participated in a debate and a vote on the Health and Social Care bill in February 2012, Social Investigations uncovered over 140 Peers with recent or present financial links to companies involved in private healthcare. The Members’ financial interests represent every stage of the healthcare value chain: from private equity firms that fund private healthcare companies, to holding shares in those same companies. They are Chairmen of companies who run NHS estates, are involved in PFI deals, are partners in legal firms that seal those deals, advisers to private hospitals, they also represent companies in pharmaceutical media, medical equipment, care homes, lobbying, and health insurance. You name it, the corporations have it covered; and the list of vested interests in both the House of Commons and the Lords is so great, it is effectively a healthcare coup d’état against our parliamentary institutions (see partial list below). Yet all of the peers with such vested interests were able to vote on the Health and Social Care bill; helping to turn it into an Act that now threatens to hand over large chunks of the NHS into private company hands. Now tonight, the English public is faced with the unenviable position of being reliant on the Lords’ tainted vote once more, as the upper chamber decides on the future of the NHS. The vote is on the secondary legislation known simply as Section 75 – or, to give it a fuller title, the NHS (Procurement, Patient Choice and Competition) (No. 2) Regulations 2013. This additional piece of law, will potentially force the new Clinical Commissioning Groups to tender out all hospital and community care work for GP patients through competitive markets run according to EU competition law. In short, the end of the NHS as we know it. The Liberal Democrats are, once again, a key part of the process. If they were to go against the government, then the regulations would be scrapped, but there is serious doubt as to whether this will happen. Their health team consists of a trio led by Baroness Judith and Baroness Shirley Williams, neither of which possesses the legal expertise required to understand the implications of the regulations. 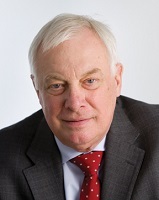 The third Lib Dem peer member however, is lawyer Lord Tim Clement-Jones, a managing partner with legal firm DLA Piper, who provide lobbying, public affairs and trade policy services as well as advice on how to get access to public service delivery contracts. DLA Piper, where Nick Clegg’s wife was formerly a partner in charge of competition law work are experts in EU competition law, and have already been heavily involved in outsource contracts in the NHS. The new regulations will increase the need for legal services such as those provided by DLA Piper. His influence over the events tonight on behalf of the Liberal Democrats is clear. In addition, Mr Clement-Jones is a patron of the health think tank 2020Health, who have four peers as patrons, all with financial interests in private healthcare. 2020health Chief Executive Julia Manning has openly called for an increase in private healthcare and it appears her wishes will come true. The political battle over which direction the political parties will vote is of great importance and certain figures will be of more significance than others. But it is the fact that the public is, once again, left in a situation whereby the future direction of the NHS is in the hands of unelected individuals who have vested interests in the outcome of their vote. One in four Conservative Lords have these interests, as well as one in six Labour Lords, one in six Crossbench Lords and one in ten Liberal Democrats, including Lord Clement-Jones himself. The position they hold blurs the line between public and private duty. Some of the companies who employ Lords have already won contracts in the new NHS since the health bill became an Act; in some cases at the very same moment the bill was being debated. The outcome will go one way or the other, but what will remain is an open house in which the Lords can continue to use their vote in the interest of their employers. For the NHS, this may well be too late. When Chairman of Care UK, John Nash – a Conservative Donor – made a donation of £21,000 to then-shadow health secretary, Andrew Lansley, co-author of the Health and Social Care bill. Nash now sits on the free market board of the Centre for Policy Studies which has produced several papers on dismantling the NHS. 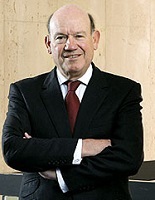 Chairman of Interserve, consultancy to NHS and private healthcare firms. Involved in PFI hospitals. Managing partner with global law firm DLA Piper who provide lobbying services to clients in the health and social care sectors. Lord Clement-Jones nominated Lord Hameed for his peerage. Lord Hameed sits on the board of Alpha hospitals, part of the Alpha Healthcare (C&C Alpha/C&C business solutions) group. The Alpha group has made significant donations to the Liberal Democrat party. Holds in excess of £50,000 of shares in Lansdowne UK Equity Fund, backers of private hospital group Circle Holdings. 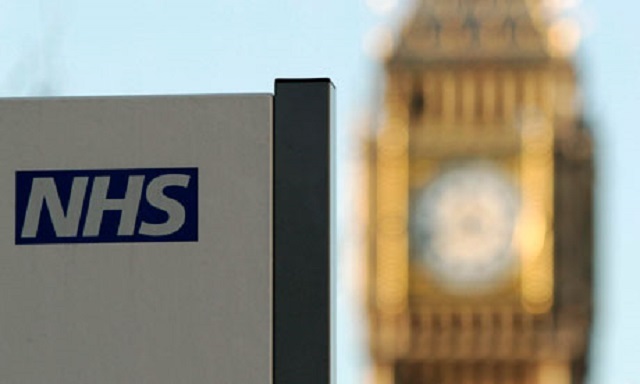 Circle won the first contract to run a NHS hospital – they are advised by Conservative MP Mark Simmonds. Conservative – Director of Marsh & McLennan Companies that “help hospitals, insurers, pharmaceutical companies and industry associations understand the implications of changing policy environments”. Founder of TLC group Ltd, who run private care homes. Lord Popat gave David Cameron a donation, as a gift, of £25,000 a week after the Conservatives’ unveiled their health ‘reforms’. David Cameron made the businessman a peer shortly after getting into 10 Downing street. An adviser to Pathology company, Synlab Ltd. He is a former adviser to Apax Partners, one of the leading global investors in the healthcare sector. Has already chosen to vote against his party (Labour). Chairman of Aviva, has directorship and Shareholdings in Aviva plc. Baroness McDonagh: Non Executive Director of Standard Life plc, which offers private health insurance. Chair of Odgers Berndtson – recruitment company providing people for NHS Management positions. Shares in Broomco Ltd, a holding company of International Resources Group Ltd, which owns Odgers Berndston. Richard Boggis-Rolfe, the chairman of Odgers Berndtson, has given £207,500 in donations to the Conservative party between 28/09/2006 to 03/03/2010. Andrew Robertson is a campaigning investigative journalist with over fifteen-years experience and founder of the Social Investigations blog. He has been involved in DIY media for many years including organisations such as Indymedia, and Squall. Follow him on Twitter @socialindepth. Please do not turn or health care service into a two tear service , thous who can afford and thous who can not. Please do not use the ‘ we are only changing so that you get a better service ‘ when there will be thous who will get no service. Do not give our hard earned money to profiteers, keep the cash in the service , please stop this mad role out of privitisation that only helps business but never seems to improve service for workers or users of the service. This is sick.